Experience Nassau’s premier destination for relaxation! 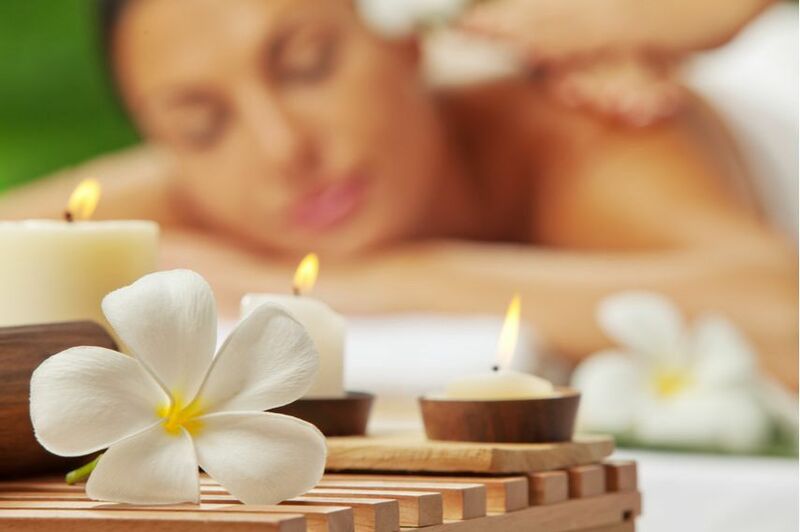 Say goodbye to everyday tension and stress and drift away to the gentle sounds of tranquil music and the freshness of aromatherapy while you rejuvenate your soul with our wide variety of spa treatments. We invite you to visit our spa boutique, featuring Control Corrective Skincare and Skin Fitness Products and an exquisite selection of face, body and hair products for men and women. Your peaceful awakening is here! We ask you to surrender to your total well-being as we enlighten your senses by putting your body, mind and soul into perfect harmonious balance. With an emphasis on stimulating the body’s natural immune system through hands-on healing, our staff of highly trained therapists will deliver you to the most peaceful state imaginable. We ask that you please arrive approx. 15 minutes prior to your appointment; this will allow time for preparation before your service. Enjoy a cup of tea and relax in our waiting lounge. Respectfully, we request you silence cell phones and keep voices to a minimum for the comfort of other guests receiving services. Spa amenities include robes, gowns, slippers, fresh fruit; gourmet snack mixes, herbal teas, and shower on premises. Client communication is very important to us. Your therapist will always listen carefully before giving individual recommendations. Please notify your Therapist if you have allergies, high blood pressure, heart conditions, physical disabilities, or if you are pregnant. We use only the best products at Skin Solutions Day Spa and Salon. To ensure the best results for our clients we chose products formulated with the finest natural ingredients from oceans and earth, proven effective in delivering outstanding visible results and an unsurpassed spa experience. We recommend that you schedule your next appointment prior to leaving, as this will ensure a time most convenient for you. If you must cancel or change your appointment, please contact us 24 hours in advance. “No Show" appointments will be charged at 100% value of your scheduled appointment. A 48-hour cancellation notice is required for spa packages or multiple services booked to avoid a 50% charge of your scheduled appointment. A 24-hour cancellation notice is required for a-la-carte services to avoid a 50% charge of your scheduled appointment. Arriving late for your appointment decreases the time of your service if we have another guest waiting. We ask you to please leave all valuable items at home. Skin Solutions Day Spa & Salon will not assume any responsibility for lost or stolen personal items. For the comfort of our guests, we ask that you leave children under the age of 16 at home unless they are receiving services. Skin Solutions Day Spa & Salon reserves the right to refuse service to any client for improper conduct, tardiness, no shows, or any other situation we deem inappropriate. If a client is disruptive to other clients receiving services or cannot abide by our business policies, we will no longer be able to provide him/her with spa services and he/she will be asked to not return to the Spa. Gift Certificates to the Skin Solutions Day Spa & Salon are not only a great way to give a gift that will really be appreciated, but they allow you or your special someone the freedom to choose what services they really want. Treat yourself or a loved one to a day of relaxation and renewal. Let us help you create a perfect gift for your special someone by customizing the perfect spa package. Gift certificates are beautifully packaged in elegant gift bags for easy gift giving. Gift certificates are available for any service, product, spa package or dollar amount. Choose specific services or simply a dollar amount. Reward yourself and become a Spa V.I.P. Member. Receive discounts on services & products, priority scheduling and more! Family discounts available! Membership Card — Reward yourself and become a Skin Solutions Spa V.I.P. Member. Receive a 10% discount on services (some restrictions apply), priority scheduling and more! Referral Program — send four friends to us and you earn a complimentary Skin Solutions Spa V.I.P. Membership Card and a 50% discount on your next Spa Service! Natila Saunders of Skin Solutions is really a miracle worker. Three treatments have erased years and years of damage. Can't begin to say thanks, keep up the excellent work!!! After my recent breakouts I honestly felt discouraged about my face, particularly since I've always had healthy almost flawless skin. I'm so pleased that your TLC along with your awesome products were able to restore my glowing skin in a relatively short period of time. Just 2 days after my last facial, a colleague and my mom complimented my skin's appearance. Thank you and I'm looking forward to my regular monthly appointment. P.S. Skin Fitness products were a worthwhile investment !!! Skin Solutions is the bestest in the world........SERIOUSLY!!!!!!! A few weeks before my birthday party I went to Natila at Skin Solutions. I must say that was one of the best skin care decisions I feel that I've made. I've been to several other professionals, but I'm comfortable with Natila and Skin Solutions, so my business and my face will stay with her. THANKS! I advise any prospective client is that you have to use the recommended products. Tila took me back to where I wear make-up WHEN I WANT TO, NOT BECAUSE I HAVE TO! Be committed to getting your skin beautiful, Skin Solutions will help you get there.